Enjoy your next meal at one of Centreville’s most sought-after restaurants. Whether you’re a bona fid foodie or simply enjoy trying new and interesting food, the following list of top restaurants in Centreville won’t disappoint. Voted the ‘Best Italian Restaurant of Northern Virginia’, Ciao Osteria is an authentic Italian eatery featuring Neapolitan wood-fired pizzas made daily from scratch. 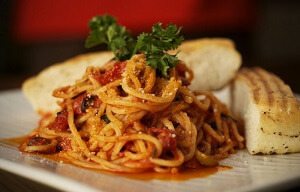 The kitchen is led by Chef Antonino Di Nicola who creates authentic home-style Italian dishes with a modern twist. The extensive menu includes appetizers, entrees, pizzas, calzones, subs, and panuozzo. Prices are very affordable and reservations can easily be made online. Sweetwater Tavern is a cowboy-themed brewpub featuring house-brewed drafts, root beer, and a classic American menu. The tavern has numerous beers on tap, as well as 2-liters of your favorite tapped brew that you can take home. Each beer contains only the freshest, natural ingredients without preservatives. Sweetwater also offers a lunch, dinner, and carryout menu that include salads, sandwiches, fresh seafood, beef, ribs, and pasta. There is also an exclusive menu for children under 12 years of age. Enjoy the traditional flavors of Korean BBQ in a clean, modern setting. Sō Korean Barbecue in Centreville is open seven days a week and offers an extensive lunch and dinner menu. For meals in between, the eatery also has an all-hours menu. Enjoy a wide range of tasty dishes, such as skirt steak, rib eye, marinated short ribs, and pork belly. The Korean BBQ restaurant also offers seafood, soups, rice, noodles, and all you can eat platters. If Cajun fare is up your alley, head to Chasin’ Tails. 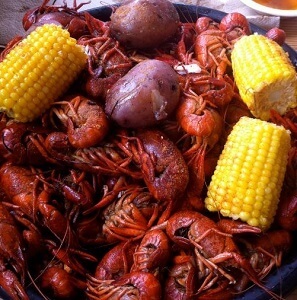 The spacious roadhouse offers both Creole and Cajun seafood dishes like jambalaya and boiled crawfish. With a slogan that reads ‘No plates, no forks, no rules’, you already know it’s going to be a good time. The fun family atmosphere mimics a backyard boil during crawfish season. Chasin’ Tails has a 100 percent unconditional guarantee and serves only the highest quality of food made from scratch. Bonefish Grill is a contemporary eatery offering a fresh seafood-centric menu, in addition to steaks and cocktails. Their innovative menu also includes seasonal specials so that you have the chance to taste the freshest fare available. Sample the grouper, wild sockeye salmon, or classic ceviche. Bonefish offers a brunch, lunch, dinner, and bar menu with different specials every night of the week. Their award-winning atmosphere is also the perfect place to host casual social gatherings, business meetings, or important celebrations. Centreville has no shortage of fantastic restaurants and with the diverse selections, you’re sure to find something that you’ll thoroughly enjoy. Whether you’re going out on the town for a freshly-brewed beer or want to sample a platter of high-quality barbecued meat with a table of your closest friends, you can find exactly what you’re looking for at one of dozens of top-rated restaurants in Centreville, Virginia.